The November report for browser market share is out, and once again it’s a month of incredible growth for Google Chrome while Internet Explorer hits a new low for the year. Lets take a look at the chart so far for this year according to the measurements of NetMarketshare. Chrome continues its growth average of a half percent a month. We’ve been guessing it would finish the year at 9.5 percent, but now we think it’s going to be more around 9.75 percent, which will put it around 4.5 percent growth for the year. While everyone constantly talks about Chrome’s growth, Apple’s Safari has been quietly creeping up the ranks also with a respectable one percent so far this year. It should wrap up the year around 5.75 percent. 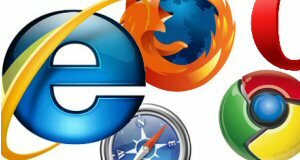 Microsoft’s Internet Explorer took another hit this month of .82 percent bringing its cumalitive loss for the year thus far to 3.68 percent. It’s hard to judge where it will end up next month as this was one of its biggest declines of the year. My guess is it will be somewhere under 58 percent of the market, making it clearly still the number one browser. Opera? Well, it declined. and although it was only .08 percent, it still brought it to its lowest level of the year. Overall it wasn’t a month of huge moves, but it showed that those that have been on the rise are continuing to do so, and those that are falling seem to be continuing that trend with little sign of it slowing. What say you? What is your current favorite browser, and which do you despise?